When I was in middle school, I noticed that I was smaller than most of the other kids. And I hated that. I hated my skinny arms and legs. So I started lifting weights. And eating… and taking supplements. I got bigger, but I always found fault. Even throughout college, I compared myself to other guys. For years, I forced myself into this lifestyle until it became a habit… until one year. I stopped working out. I had met someone, the first person who showed care for me. We moved in together. I soon realized that I had never been training for me. Now, years later, I exercise for myself, for the good feelings I get. And I focus on getting fit, not big. Changing something in your life means taking control. And where does that control come from? Your personality, values…your attitude, right? So the first step in changing our actions is finding out what values are driving them. Is it because we’re unhappy with ourselves? Because no matter how much you “improve”, you will never become happy with yourself if you’re not already content with life. Once you gain this self-awareness, then whatever changes you want to make aren’t hard, because…well…because you want them. When my goal changed from getting validation to being fit, it was almost unconscious. I didn’t obsess over becoming healthy. I didn’t hold myself to a strict program. I didn’t read books about why it was better to be more fit. I didn’t do those things because I didn’t need to do those things. A measure of the value of a goal is how much you want to do the grunt work. But if the drive to change comes from inside you, you will embrace the grind and it will cease to be one. Facing the challenge of something new will become exciting, not paralyzing. The sacrifice won’t feel like a sacrifice. But it won’t really work if you’re doing it because you think you must or you have no choice. You can’t do it if fear is driving you, or if you’re forced to. People do change. We evolve. Just don’t force it. Evolution is natural. Other people and your environment can supplement a change in your values, but the truest values, the ones that drive us to do the right thing, always come from the inside. So what’s the secret to really changing yourself? Let go of what you think you need. 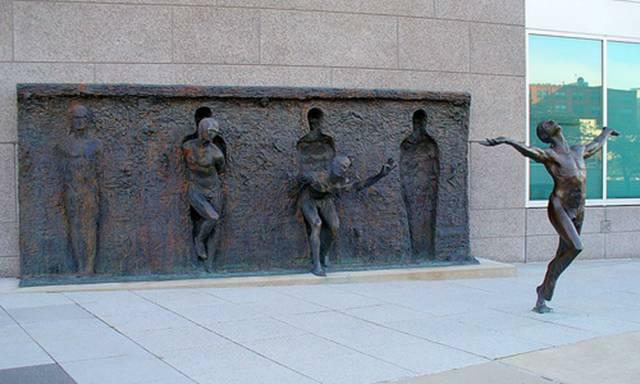 Free yourself. Because no one else will. We were meant to evolve. And we have the self-awareness and freewill to do exactly that.